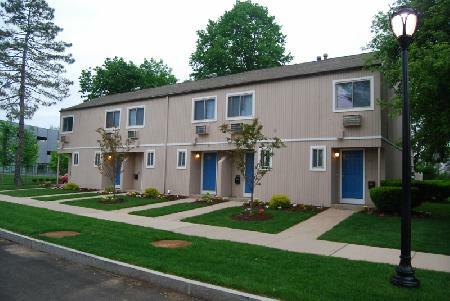 Conveniently located adjacent to the Farmington Canal Greenway bicycle path, this series of duplex townhouse apartments offers quick access to Science Hill. Across the street is the active construction site of the future Yale University residential colleges, next door is the new Yale Health Center and Yale Police Station, and four blocks away is the Yale School of Management. Sachem Street is a seven-minute walk from the downtown Yale campus or the Payne-Whitney Gymnasium. These carpeted units feature a kitchen and living room on the first floor, two bedrooms and a bathroom on the second floor, and a large basement for tenant storage, including a washer/dryer hook-up. One off-street parking space is included. Tenants are responsible for gas heat, gas hot water, and electricity. Dedicated to graduate students and post-docs only.